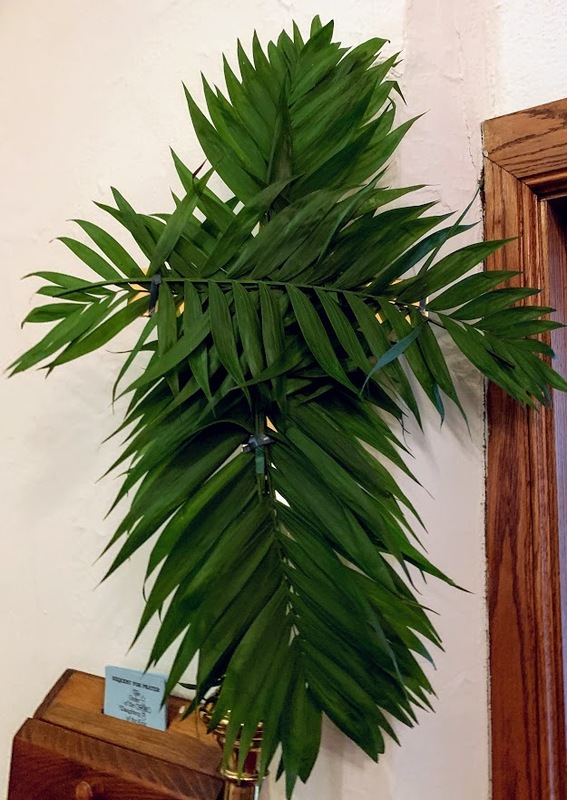 The congregations of St. Paul’s/San Pablo Episcopal Church in Kansas City, Kan., and St. Michael and All Angels Episcopal Church, Mission, Kan., welcome all to join them for their Holy Week services. Beginning on April 18, watch from https://www.episcopalchurch.org/holy-week-2019 or from The Episcopal Church Facebook Page. To view the services, you may also use this link. To view the Easter Message from our Presiding Bishop and Primate, the Most Reverend Michael B. Curry, please use this link. When I get to Heaven, I want to meet one person, and her name is Mary Magdalene. Because if ever there was another Hallelujah, Anyhow sister, it was Mary Magdalene. And her life, and her example, tells us what it means to follow in the way of Jesus, in the Way of Love. Mary Magdalene showed up when others would not. Mary Magdalene spoke up when others remained silent. Mary Magdalene stood up when others sat down. John’s Gospel tells us that when many of the disciples fled and abandoned Jesus, Mary Magdalene stood by him at the cross. Hallelujah, Anyhow. Against the odds, swimming against the current, Mary Magdalene was there. John’s Gospel says in the 20th chapter, early in the morning, while it was still dark, Mary Magdalene and some of the other women went to the tomb. Hallelujah, Anyhow. They went to the tomb when it didn’t make any sense. They went to the tomb when the evidence was against them. Jesus was dead. They knew that. The power of the Empire had crushed the hope of love. They knew that. And they got up in the morning and went to the tomb anyhow. Hallelujah, Anyhow. But more than that, John’s Gospel says it was dark. It was dark. That’s not just the time of day in John’s Gospel. The darkness in John is the domain of evil. In John’s Gospel when Judas leaves the Last Supper to betray Jesus, John inserts a parenthetical remark. When Judas leaves to betray him, John says, “And it was night.” The darkness is the domain of wrong, of hatred, of bigotry, of violence, the domain of sin and death and horror. And early in the morning while it was still dark, Mary Magdalene went to the tomb, Hallelujah, Anyhow. The truth is, nobody saw Jesus rise from the dead, because God had done it secretly and quietly, when nobody was looking. Though the cause of evil prosper, yet ‘tis truth alone and strong . . . The Lord is risen, indeed. On Palm Sunday we were blessed by the company of animal friends from Gress Mountain Ranch. Two donkeys and a little lamb came to share the day with us and to assist us in our entry into Holy Week. Many thanks for the visit! Thanks too, to Jim Propst for sharing these photos. A lively crew gathered this afternoon to get the church ready for Holy Week. Here are a few photos taken as the action unfolded. An invitation from our Rector to join us for Holy Week this year. Pam wrote to our congregation this afternoon–and to our friends–to extend an invitation to join us for Holy Week. To read the text of her letter, please click here. To view our downloadable and shareable schedule please click here. Holy Week – Please join us. Dinner in Parish Hall, 5:30 p.m.
Easter Vigil Service, 7:00 p.m. The Fourth Sunday of Lent is also known as Laetare Sunday because of the beginning of the old Introit for this Sunday, “Laetare Jerusalem” (“Rejoice, O Jerusalem”). It has also been called “Refreshement Sunday,” “Mothering Sunday,” and “Rose Sunday.” At Trinity we do not have rose vestments, but will commemorate the day by the inclusion of a single rose colored (some might call it pink) rose on the altar. The age of the Lenten frontal is unknown, although we do know that it was repaired in 1963 by members of the Trinity Altar Guild sewing group. It was restored in 2017 by Trinity’s small group of dedicated stitchers. The central monogram is the “Chi Rho,” the first two letters of the Greek word for “Christ.”, with “Alpha” and “Omega”, the first and last letters of the Greek alphabet. The embroidery was worked on a fine wool flannel which has survived well. The matching superfrontal is unique in the way it fits the front corners of the altar, much like a fitted bed sheet. The matching pulpit fall, also on wool flannel, has not been repaired. Look closely to see that the gold threads are loose in places and that silverfish have damaged the wool. Again, the Alpha and Omega symbolizes Jesus as the beginning and the end of all things, a reference to Revelation 8:1. The monograms shown here and on the frontal are machine-made appliques that have been applied to the wool ground with outlines of gold thread. Our young friends at Thomas Jefferson Middle School sent a lovely thank you to acknowledge the grant from the Pastoral Care Committee given from the Wilma Lewis Endowment Fund. This grant was to assist students with funding for the Lunch Program. Another grant was also awarded to the Bethlehem Area Public Library to pay fines for students from Thomas Jefferson which will allow them to have continued access to the resources provided by the library. Yesterday, Trinity was represented at prayers at the Mosque at the Lehigh Dialog Center. It provided an opportunity to renew ties of deep friendship with our Muslim Sisters and Brothers there. We have been blessed by their presence here on numerous occasions, but most especially last Maundy Thursday and at the Inter-Faith Thanksgiving Dinner. After Prayers, they extended gracious hospitality. It was apparent that they were deeply touched by our presence and by the support of the parish.